Cat sticker-adorned mirror of the human condition Taylor Swift debuted her latest single last night, a meditation she has simply named “Track 3.” As its John Cage-evoking title suggests, “Track 3” is nothing but eight seconds of blissful, hissing static—a bold leap forward from an artist who continues to shine a light into all the hollows of modern music, be it country, pop, or now, avant-garde industrial ambience. “Track 3” is the sound of disconnect between artist and audience, a tumultuous void we are forced to fill with our own meaning. It is the sound of music reduced to the noise that surrounds the pop singer’s cult of personality. It is the sound of the echoing abyss we hear when we gaze into Taylor Swift’s eyes; it is the dulled roar she hears when she gazes back at us. It is her most provocative declaration of emptiness—both hers and ours—to date. Naturally, it shot straight to the top of the iTunes charts in Canada. No doubt frightened of so much truth all at once, Apple has since removed the track, leaving others—newly awakened, unshakably frightened—to suggest that it must have been a mistake. The Independent speculates that it was all an “accident,” leaked to iTunes via a glitch, then snapped up by fans who are so under Taylor Swift’s sway that they bought it for $1.29 CAD automatically without even listening to it. These fans then petitioned the void, seeking the same answers as all humanity has when it cries out into the darkness. Still, is this not the very point of “Track 3”? That modern pop music is nothing but a name we attach to nothingness—that the “song” is wholly secondary to the overall product we’re buying? 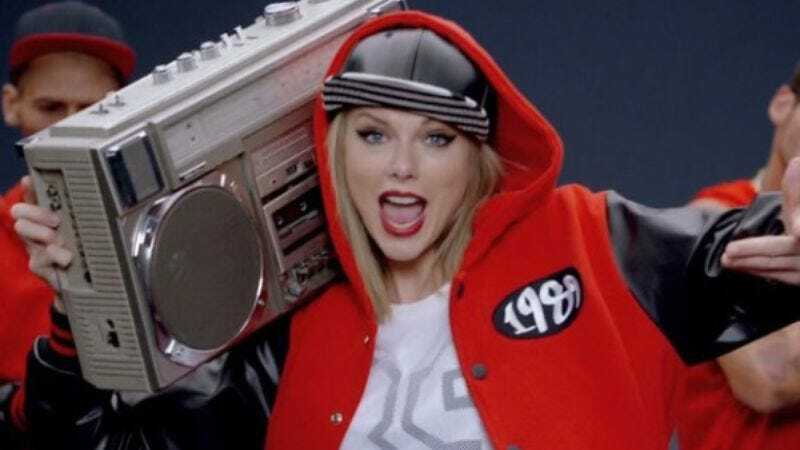 Has Taylor Swift not once more captured the vacuous din we hear every time we turn on the radio? Is this not her grandest, most unifying artistic statement? Indeed, it’s an exciting hint of what’s to come from this increasingly challenging composer, whose latest break-up seems to be with convention. Desolation, you belong with me, she whispers. And the desolation agrees.